We all know the feeling: you’ve just moved abroad, the Atlantic storm is howling outside, you don’t have any friends yet and your new work is exhausting. All you want to do on a Friday night is sit down with a pile of wool and knit a comfort blanket for yourself. Or perhaps dust off that old sewing machine and get started on a happy summer dress to impress. 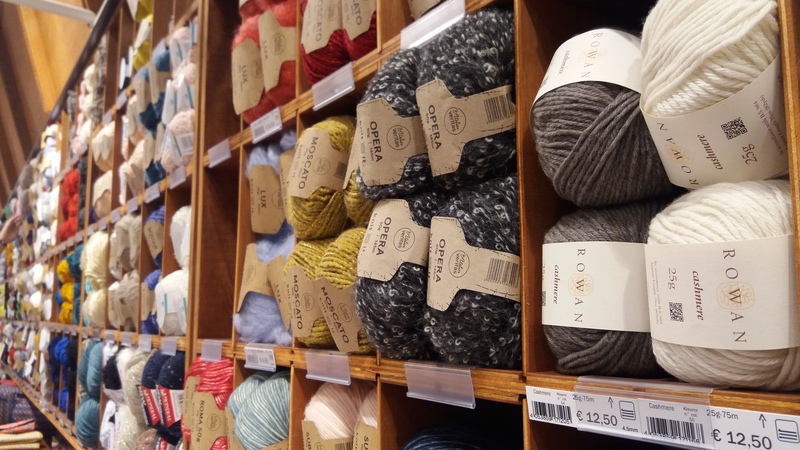 But then suddenly you realise you don’t have the basics: the wool, the fabric, the patterns … Where to find these creative supplies in Ghent? Luckily for you, Belgium is currently experiencing a DIY boom. Not only are there a lot of local makers setting up their companies, but sewing, knitting and other ‘create-it-yourself’ courses can be found everywhere. In this post, find out about places to buy your supplies. 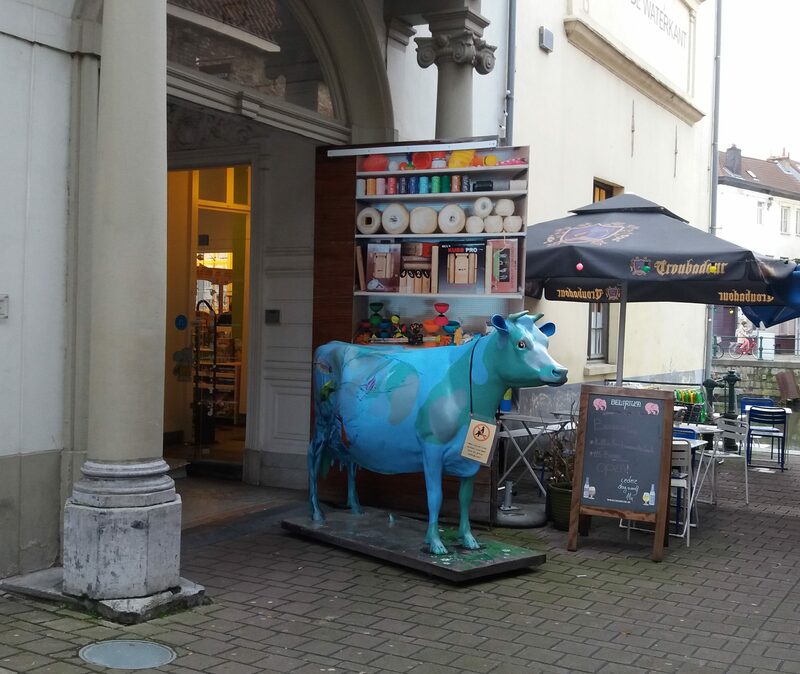 If you’re into arts, the only place to be in Ghent is Schleiper. 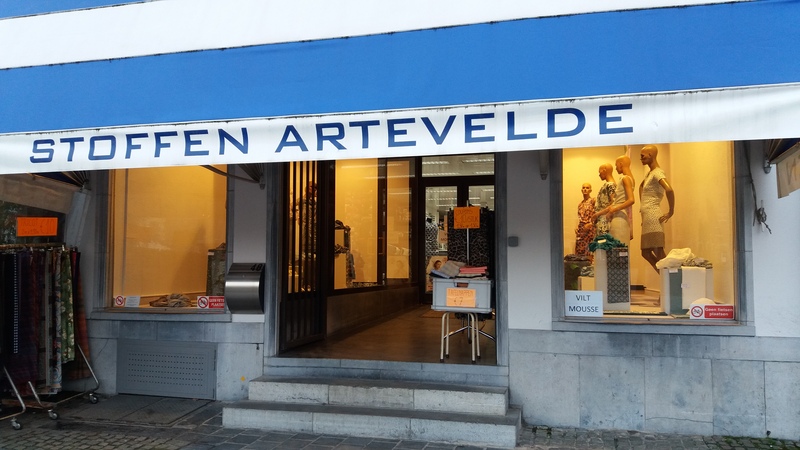 This art store, spreading over two floors in a building that straddles Ajuinlei and Onderbergen (entrance only on the Onderbergen side), is part of a family-run Belgian chain that has been around since the times of Victor Horta. Stock up on canvas, paint, brushes and other essentials of your favourite fine art. This is also a place where you can get your favourite painting framed by professionals. De Banier started as a members’ shop of Chiro, the largest youth organisation in Flanders, but its name has now become synonymous with a crafts’ shop. The Ghent branch is just off the Lange Munt and when you’re done selecting the ingredients for your latest project, you can chill out with a coffee by the river. Ava is like a trusted old friend. You somehow always end up there when you’re looking for something. It has so much on offer that it would be unfair to call it just a craft shop. Choose from party items, office supplies, or Christmas decoration, among other things. Luckily, it is situated next to a car park, so if you go into overdrive, at least you won’t have to carry your latest stash too far. Pipoos is cosily hidden away in the Zuid shopping centre. Somehow I always think of it when it rains, possibly because I like to weather out the storms in that quaint shopping centre. The brand’s motto is ‘Surprisingly creative’ and it is a good place to go to if you are just starting and need to stock up on inexpensive basics. All of these also carry a (very) basic selection of wool and fabrics. Creative-women-with-a-side-business is a huge phenomenon in Flanders. Books, blogs and Instagram profiles attract massive following. And not only among creative young mothers – sewing is fully back in fashion across board! Sewing courses for beginners and advanced pupils get filled up faster than you can blink. Thus it comes as no surprise that fabric shops are well stocked and enjoy a booming business. All the main fabric shops in the centre of Ghent also sell sewing patterns, though not all of them are available in English. So where can you stock up on hip fabric in Ghent? Stoffenidee in Burgstraat is a combined wool and fabric shop. You can choose from a wide variety of textile and the staff are always happy to help with advice. De Stoffenkamer is a feast for your eyes. Their beautiful fabrics are on the expensive side, but if you are looking for lovely prints, that’s the place to be. Stoffen Artevelde on Vrijdagmarkt managed to keep that 1960’s family business feel. Retro seems to be the standard here, but don’t be deceived: many gorgeous prints that promise classy outfits can be found here. Stoffenspektakel is a huge travelling fabric and sewing fair that stops by at Flanders Expo once or twice a year. Keep an eye on their website for the dates and try not to go overboard when you go there. Sleepstraat is not so much one shop, but a street with several Turkish shops. Their fabrics are mostly polyester, but you can find some good and cheap basics there too. Atelier Veritas is a new sub-brand of the Veritas chain and offers a wider variety of fabric and wool than the ‘standard’ Veritas shops. You can also stock up on zippers, ribbons, and elastic waistband there. In Ghent you can find Atelier Veritas in Sint-Denijs-Westrem. 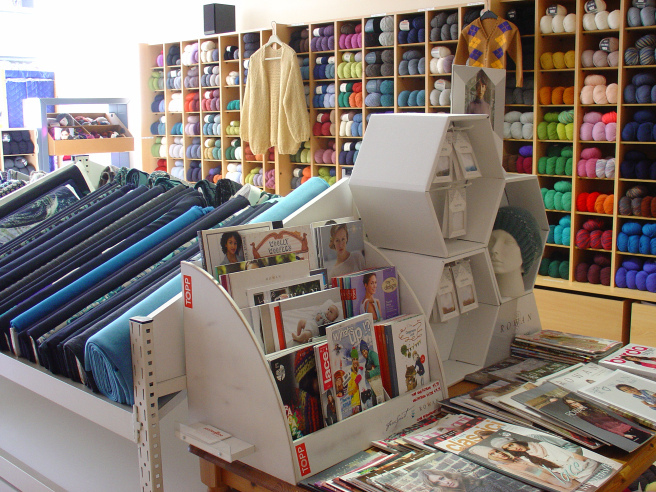 All main fabric shops also offer sewing supplies, such as sewing machine needles, bobbins and sewing thread. While knitting and crocheting are also making a comeback in Belgium, the commercial side of this hobby hasn’t caught up yet. The choice of specialised local stores remains old-fashioned and slim. In terms of brands, you can expect to find Schachenmayr, Lana Grossa, Rowan and Katia, among others. Amarice on the Zwijnaardsesteenweg sells a nice Dutch brand called Scheepjes. The brand website is available in English and if you’re looking for your next ‘crochet-a-long’ (CAL) challenge, that’s the place to be. Woolboetiek in Noordstraat is specialised in wool by the French brand Bergere de France. While the brand is actually foremost available online, you might want to visit the shop first to get a feel for it first in person. Wolwolf is a Ghent-based online wool shop which offers free delivery within the city limits. They sell Scheepjes, Katia and Schachenmayr brands. Ikea in Sint-Denijs-Westrem has a decent selection of fabric for interior design. The only problem you might have is that their fabric can suffer from the ‘Desigual-curse’: everyone will spot that unmistakable Ikea design from afar. Apart from that, their sewing kit is great for beginners and I’ve been happily using their tailor’s scissors for years. Snoop around their leftovers basket at the fabric counter for cheap patchwork supplies. Hema at Korenmarkt and Zuid is a heaven for lovers of good old fashioned photo albums and basic paper notepads. Get crazy with washi tape to turn them into personalised projects, or check out their basic acrylic wool. Flying Tiger at Zuid is a favourite for lovers of Danish design at Chinese prices. Their product range changes often and adapts to the theme of the nearest holiday. Zeeman at Lange Munt (and elsewhere) might not seem like a craft store, but their acrylic wool prices begin at very democratic 89 euro cents per skein. However, they often have only limited choice of colours. Their main advantage is that you can always bring the wool back and get your money fully refunded, up to 1 year after the purchase. E-commerce is growing steadily in Belgium and most of the shops have realised they cannot survive if they do not expand online. In the crafting sector this gives the shops the added benefit of not having to stock up on everything in the shop. But this also means that sometimes you will find what you’re looking for only in the online shop and not in the shop itself. If you don’t mind buying without touching first, this is a great way to do it. Most of them also deliver to your nearest shop for free. Besides branching out online, the shops are supplementing their income with workshops as well. These are usually shorter than the ones offered by your local evening course schools (CVO’s). I also find it more motivating to learn a language through a hobby than by dry repetition of irregular verbs. So ‘put on your brave shoes’ (trek de stoute schoenen aan) and head out to the nearest crafters’ club. You’ll be chatting about your hobby in Dutch in no time. Full disclosure: the author works part time as a shop assistant and knitting workshop facilitator in Atelier Veritas. Have we missed your favourite crafts shop? Or perhaps you have another creative question for us? Let us know in the comments below! oh .. don’t forget “de Gouden Pluim” op de hoek van de Vrijdagmarkt .. definitely my go-to place for buying wool roving ! They have every color imaginable. Hey Jovita! I don’t know how I managed to miss that one! I seem to be at Vrijdagmarkt all the time. I’ll definitely check it out next time I’m there. Next to de ‘Strik’ in Ledeberg is another fabric shop with fancier fabrics called ‘Soie Unique’ (soieunique.be). I think the price range is between de Stoffenkamer and de Strik. I only just stumbled upon this article. Thank you so much for including our shop!